Labor day is coming up and that means soon our sun-filled summer days will be behind us. Fall is a great time to undo the strain that the sun has put on your customer’s hair and skin over the past few months. Check out some of these fall tips to help get more customers in the door. Back to school season is stressful for more than just parents. Teachers, students, and college administrators all face increased stress with the change of the season, making fall a great time to run a special on massages. The special will be appreciated and bring in customers who need stress relief for the rest of the school year. Due to the summer sun, a popular summer hairstyle trend is balayage, for sun-kissed locks no matter how much time your clients are able to spend on the beach. With fall here, people are going darker and a popular trend this year is ombre. 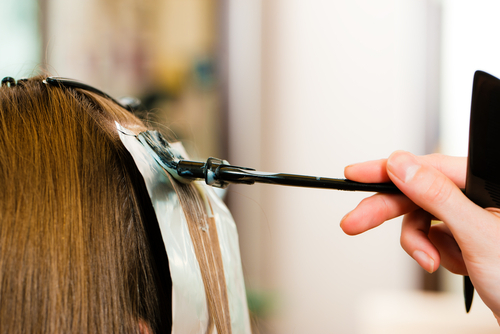 Make sure that your employees are well versed in this dual-shade hair process. Consider doing a discount for an ombre die for the first time clients. In six to eight weeks when they need a touch up, they’ll come back and pay full price. After three months of increased sun exposure, your client’s skin needs to be revitalized with more moisture, making facials a great choice for fall promotions. Try making an appearance at a community event like a high school football game or farmers market and pass out samples of your skin care products. Prospective clients will appreciate the gesture and know where to go for more. The fall is a great time to focus on rejuvenating yourself after the dog days of summer. To learn more tips for your salon or spa, follow SinglePlatform on Twitter, Facebook, and Instagram.